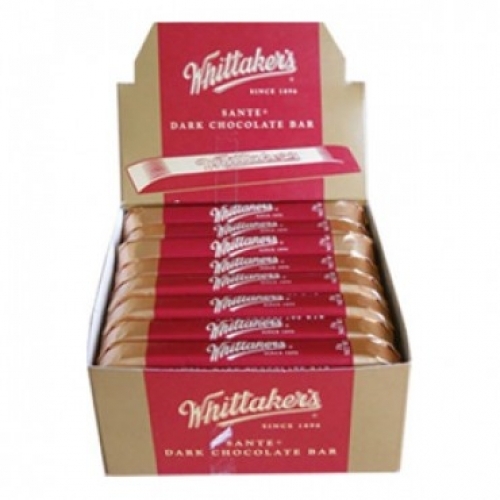 Bulk carton with 48 individually wrapped long dark chocolate sante bars (25g each). Bulk carton with 48 UNWRAPPED long milk chocolate sante bars (25g each). There is simply nothing like the snap of one our pure chocolate sante bars. Long, thin and elegant, Sante means health – in a happy way. And these certainly make you feel happy. Since 1896… and today the company is still owned and run in NZ by the Whittaker family. 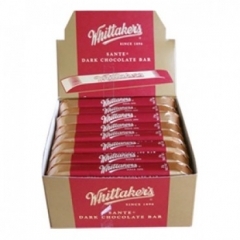 All products made in NZ, in Whittaker's factory in Porirua, Wellington.